It’s January, and you have a new set of weights which will finally keep you on track for a six-pack by this time next year. January is named after the Roman God Janus, god of transitions, beginnings, and endings, who is typically depicted with two faces. One looks to the past, one to the future. The past was the unused gym pass; the future is the chiseled abs. 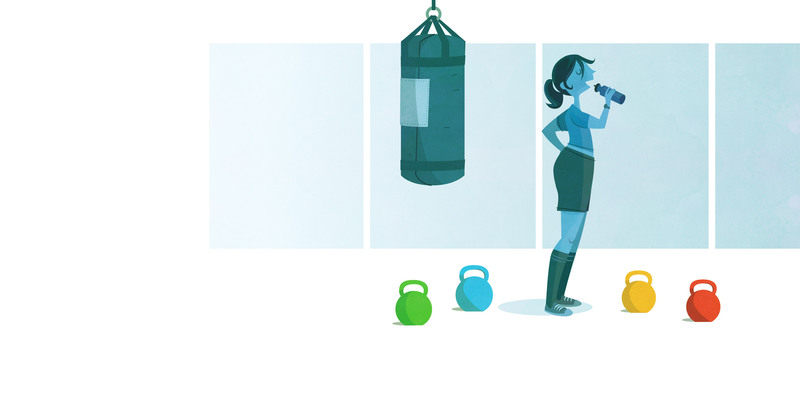 Somewhere in the middle is the hard work, the app you downloaded, and the kettlebell. Regardless of whether your resolution is physical fitness or healthier relationships, the first day of the year is a universally accepted signal to stop living in the past and to break useless habits. It serves as a permission slip to be more present, take more chances, and live our best lives in the new year. But how many of us actually do? According to the U.S. News, 80% of people who set a resolution on January 1 break it by the second week of February. In other words, within six weeks of a well-intentioned change, we question, hesitate, and revert back to what is comfortable and known, even if it doesn’t work for us. Like Janus, our two faces constantly look backwards and forwards, but never focus on the present moment. While there are wonderfully useful tips for how to stick to New Year’s resolutions–keep it simple, be specific, tell a friend–our brains tend to revert into our default mode in which we ruminate and dwell on what we coulda, shoulda, woulda. Or we worry about the future such that we forget to live in the moment. So instead of a quick, 10-minute set with our shiny new weights, we feel remorse at the third brownie we ate or worry about how to carve out time to do sit-ups for the next thirty. The term “default mode” was first used by Marcus Raichle to describe our brain when it is “resting.” However, studies suggest that our brain isn’t just idling when “resting.” For many of us, our brains default to self-referential thinking (thinking about ourselves), rumination, or preoccupation. We want to go the gym, but our brain’s default system may override its good intentions with fears: What if other people laugh at me; what if this is a waste of energy; what if I don’t have time? To motivate ourselves to put in the hard work, we must shift our mindsets. We need to rejigger our brain’s default mode to one from which we can learn from the past without grasping, be mindful of what may come without anxiety, and live in the uncertainty of every day without avoidance. Working towards a six-pack is not simply a physical exercise, but also a mental one. Our brains play a large part in how successfully we will achieve a declared goal–or any habit change. One key domain of Emotional Intelligence that is essential to shifting mindsets and habits is Self-Management, our ability to balance our emotions to make progress towards our goals. The first Self-Management competency is Emotional Self-Control, or Emotional Balance, the “ability to manage disturbing emotions and remain effective, even in stressful situations,” according to Daniel Goleman. Change is scary, no matter how small it might be. Something as seemingly innocuous as, say, deciding to eat more vegetables, may uncover a deeper emotion or underlying issue. Perhaps eating more vegetables brings back unpleasant memories of a parent forcing you to eat something you didn’t want, and that memory evokes a sense that you are losing your agency to say, “no.” With Emotional Self-Control, we don’t ignore our emotions, rather, we don’t let them hold us hostage. When obstacles arise between us and our goal, we become less susceptible to the whims of our impulsivity and strong emotions. Second, Adaptability allows us to see change as positive. Let’s say you want to end an unhealthy relationship. It can be scary to let that connection go, no matter how little benefit the relationship offers you or the other person. There is comfort in the known, albeit the dysfunctional known. To move towards the unknown is a transition, and whenever we transition from what was to what will be, we experience change. When we become more adaptable to the uncertainties of life–including the ultimate outcome of our desired goal–we can effectively respond to challenges and transform fear of loss into possibilities for development. Third, Achievement Orientation is our capacity to meet or exceed a standard of excellence and continually improve. Without this competency, we wouldn’t have the same motivation to effect change and persist when we encounter roadblocks. Strengthening this competency allows us not only to better manage ourselves, but also the context around us so that we can adjust and adapt accordingly to meet our desired goals. Lastly, the Positive Outlook competency isn’t just about hoping for the best or putting on a happy face. It is an inclination towards the positive. It’s not just an attitude; our brains betray whether we have a tendency towards a Positive Outlook. Neuroscientist Richard Davidson found that people with frequent activation in the left prefrontal cortex tend to be more positive in their emotional outlook. They also may get frustrated when something gets in the way of their goals–and that frustration turns into motivation. On the other hand, those with more activation in the right prefrontal cortex are more likely to give up when the going gets tough. We can build our Positive Outlook by increasing our “stickability” when obstacles get in our way, and by finding goals that give us meaning and purpose. As Daniel Goleman notes, when we do so, our left prefrontal cortex lights up like a Christmas tree. It is what moves, or motivates, us to keep working towards that goal. Building our Emotional Intelligence in these competencies helps us become more aware of our default explanatory style about how the world works. Martin Seligman, known as the “father of Positive Psychology,” posed that humans generally have two default explanatory beliefs about the way the world works and their own agency. The first is a pessimistic explanatory style whereby we tend think that our situations are set in stone and that what is wrong will always be wrong. The second is an optimistic explanatory style whereby we think that the opposite. When it comes to habit formation, either style can be inhibiting if not managed appropriately. The former may be a Debbie Downer who gives up prematurely, and the latter a Polly Anna who ignores reality. While practical realism can prove beneficial, studies suggest that people more disposed to an optimistic explanatory style remain less likely to give up when the going gets tough. In other words, seeing the world with only rose-colored lenses obscures what is really in front of you, and may lead you to make more rash or impulsive decisions. But when we face reality as it is, yet view it with a sense of hope and positivity, we can better recognize how to make the most of whatever challenges life presents. Want that six-pack by next Christmas? Consider supplementing your new weights with a dose of Self-Management and its four competencies for an inside-out approach. Interested in working with Belinda and helping others develop their Emotional Intelligence? 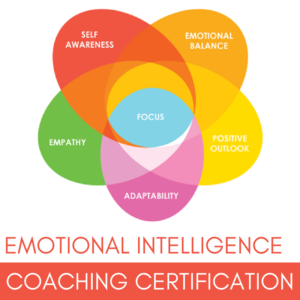 Apply for the Daniel Goleman Emotional Intelligence Coaching Certification–an in-depth program designed for experienced and aspiring coaches. Space is limited, so we encourage you to apply today. Whether you want to become a more effective leader, advance your career, or achieve goals in other parts of your life, the ability to take smart risks is essential to productive growth. 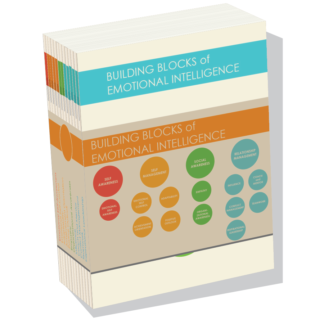 A range of Emotional Intelligence competencies can help achieve goals and bring our ideas to life. What Does It Mean to Take Smart Risks? People who take smart risks are highly attuned to their own abilities and limitations. They set goals that are challenging, yet attainable. They communicate their message in a compelling way, which people they want to influence can engage with. While some of their choices may appear highly risky to others, they are confident that the potential benefits will be worth it. People who take smart risks excel across a range of the twelve Emotional & Social Intelligence Leadership Competencies. Some of the competencies most essential to taking smart risks include Emotional Self-Awareness, Achievement Orientation, Influence, and Inspirational Leadership. As the foundation of the Emotional and Social Intelligence competencies, Emotional Self-Awareness is essential to taking smart risks. People who are emotionally self-aware have an accurate knowledge of their strengths and weaknesses, as well as a solid understanding of what they can realistically achieve. Leaders with Emotional Self-Awareness can be present with people in a candid and authentic way, enabling them to speak with conviction about their vision. Developing Emotional Self-Awareness begins with self-reflection, including recognizing how your emotions impact you and your job performance. It can be helpful to ask for feedback from people with whom you regularly interact. Simple questions, such as asking others what they see as your strengths and weaknesses, can be critical in recognizing a disparity between how you see yourself and how others see you. Ideally, this feedback would be anonymous, so that people feel comfortable being honest. Either way, be prepared to accept feedback with an open mind and the intention to take steps toward improvement where necessary. If you find it difficult to recognize the areas where you struggle, or if you discover through feedback self-other gaps you aren’t sure how to improve, you may benefit from the guidance of a coach. A coach can help you develop a plan of action for improvement and give you feedback along the way. Coaching for Emotional Intelligence is particularly critical if you struggle with Emotional Self-Awareness, as it lies at the heart of EI. Achievement Orientation is vital to taking smart risks and effectively setting goals. People with strengths in this competency set challenging goals for themselves, yet remain realistic in what they can achieve. As too much of a focus on Achievement Orientation can become toxic, particularly for leaders, it is also important to balance it with other competencies, including Inspirational Leadership, Empathy, and Teamwork. As with Emotional Self-Awareness, it is important to continually seek and learn from feedback to improve performance in Achievement Orientation. Cultivating a clear picture of positive goals and knowing what you can realistically accomplish are simple steps you can take to begin improving your performance. Working with a coach can also help to explore a vision of your ideal self and develop steps to reach your goals. 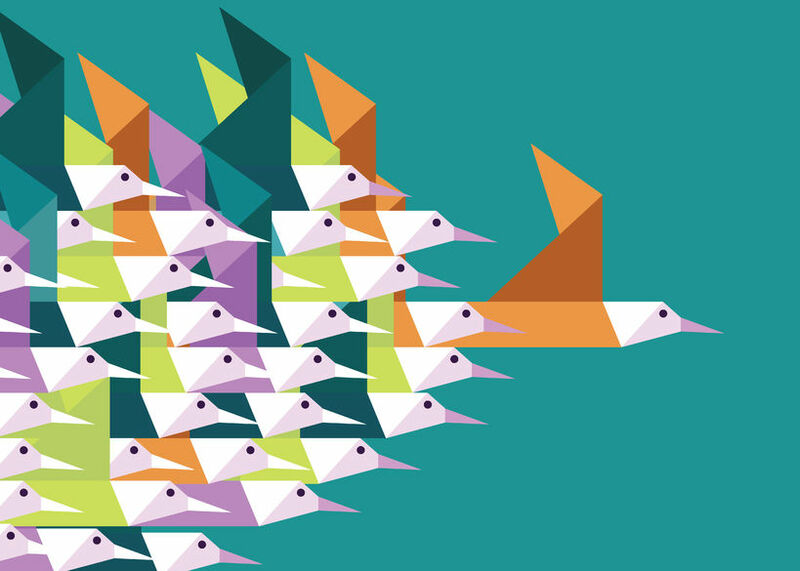 As part of an organization, influence is key to bringing your great ideas to life. People with strengths in the Influence competency establish trust through a respect for and sensitivity to office culture (which also incorporates the Organizational Awareness competency). They know how to communicate their message in a way that appeals to others, particularly the key people they want to influence. If you want to develop influence within an organization, it is important to start small. Begin by sharing your ideas informally, with people that you trust. Pay attention to their concerns and feedback and incorporate them into your vision. It is also critical that you understand what matters to the people you want to influence. By understanding their perspective, you can create a compelling case for your idea that will be beneficial to key people. This will enable you to start an engaging conversation, in which all sides feel invested. Inspirational Leadership, particularly the ability to articulate a shared vision, is central to taking smart risks. Inspirational leaders understand the vision of their organization inside and out. This enables them to craft ideas that fits seamlessly into the bigger picture. They also use the organization’s mission to create a sense of common purpose, yielding resonant relationships with others that are essential to identifying shared aspirations. Becoming an inspirational leader is a gradual and ongoing process; as in any relationship, building trust doesn’t happen overnight. Inspiration also requires a degree of vulnerability. 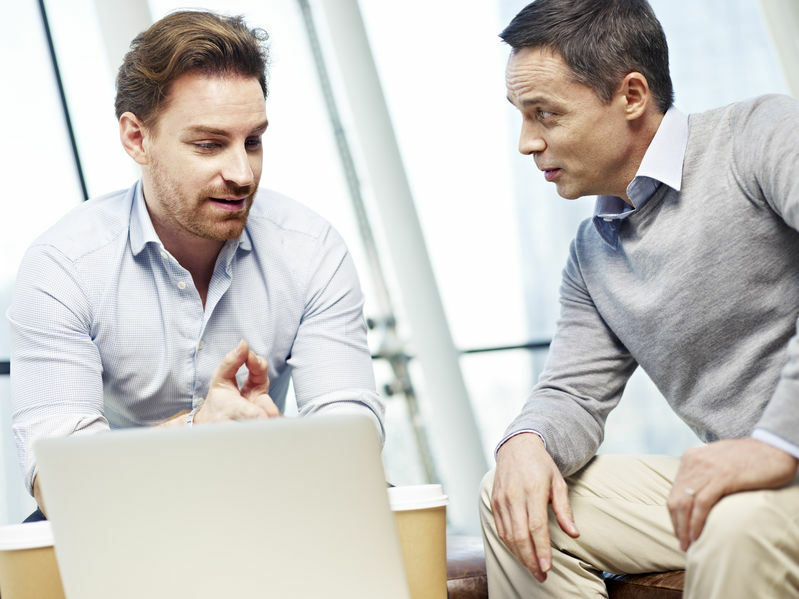 Leaders that share some of their apprehensions and fears related to work and leadership cultivate an atmosphere of authenticity, yielding a solid foundation of trust. 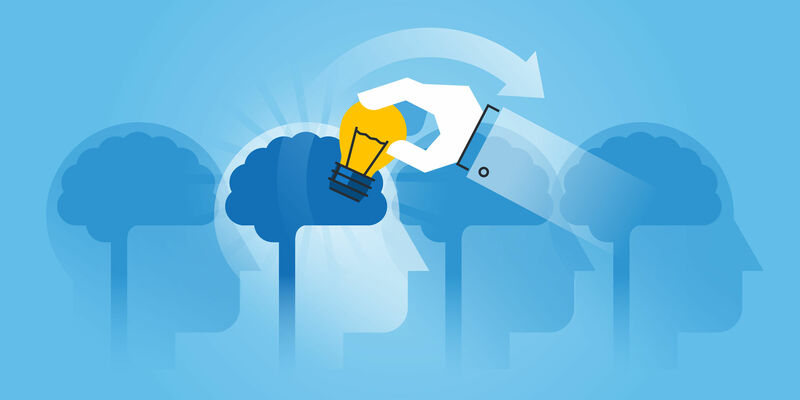 By developing Emotional Intelligence competencies that span the four domains, you will have the skills to transform your ideas and goals into reality. A foundation of Self-Awareness allows us to understand our strengths and weaknesses and solidify our values. Paired with Achievement Orientation, under the Self-Management domain, we can develop ambitious yet attainable goals. The Social Awareness and Relationship Management domains enable us to garner support for these goals. 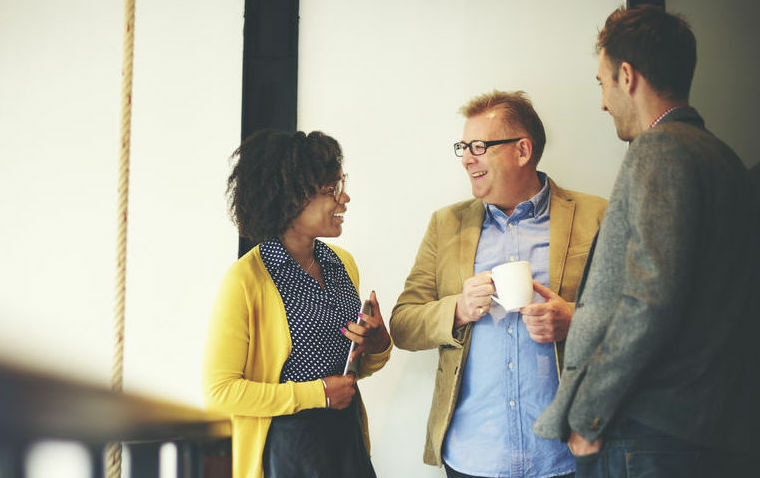 While Organizational Awareness and Influence help us recognize and utilize networking opportunities and key power relationships, Inspirational Leadership ensures that our initial support doesn’t fade. 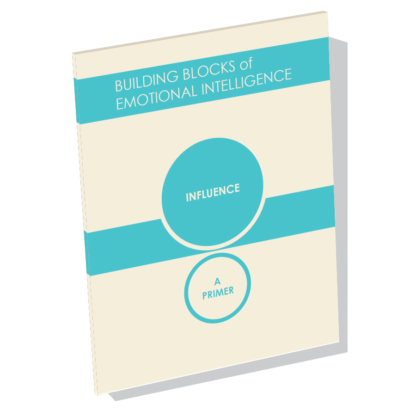 Interested in helping others strengthen their Emotional Intelligence and achieve their goals? 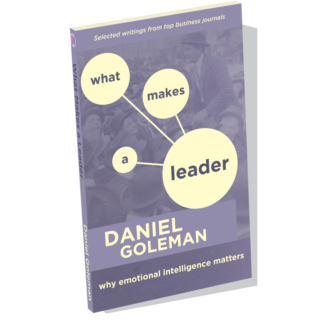 The new Daniel Goleman Emotional Intelligence Coaching Certification is now accepting applications. This in-depth program, akin to a professional degree, draws upon a range of evidence-based concepts and practices, including the Emotional & Social Intelligence framework. Coaches will gain meaningful new insights to impact their personal and professional lives while elevating their expertise. In last month’s article on Adaptability I quoted an executive leader who credited mindfulness for contributing to her ability to respond to a significant and unanticipated problem when assuming a leadership role with a new company. She also shared details about mindfulness helping her time and again to excel when she was leading large-scale global manufacturing and supply chain operations. The other 41 leaders I interviewed also provided similar examples of how mindfulness was an invaluable tool on their path to professional success. 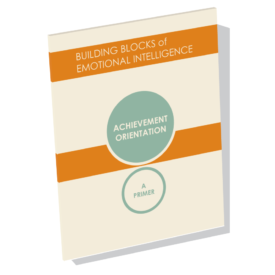 One particular result of mindfulness training that emerged from my research is the Emotional and Social Intelligence Competency of Achievement Orientation. This competency, as is the case with the other 11 competencies, has been empirically linked to increased overall leadership performance. What Does Achievement Orientation Look Like in the Workplace? The manifestation of this competency is well illustrated by the following quote from a leader who has held general counsel positions for two well-known corporations: “I did all of my undergraduate work at night, while I was working full-time… I also got my law degree at night.” In other words, the results of Achievement Orientation look a lot like what most people also attribute to determination and focus. Other leaders shared similar examples, revealing the development of a strong ability to focus on completion of complex and large-scale goals. Understanding the relationship between mindfulness and the development of Achievement Orientation was significant to my research, since I specifically investigated examples of positive workplace leadership outcomes. 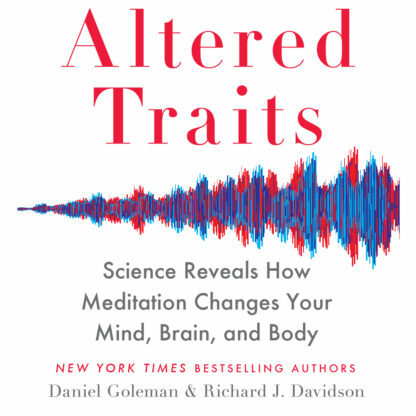 All of the leaders I interviewed provided in-depth descriptions illustrating this relationship, and reported the influence of mindfulness as having been significant. In these conversations, leaders described a process where mindfulness-enhanced development of the competencies of Emotional Self-Awareness and Emotional Self-Control, which in turn contributed to Adaptability and Achievement Orientation. In some cases these positive developments occurred in response to successful careers that plateaued, or periods of declining effectiveness that leaders struggled to understand. In many examples, however, leaders described these developments occurring as a part of years of personal activity aimed at finding ways to specifically improve goal-oriented performance. How Does Achievement Orientation Impact Leadership Effectiveness? Examples of this activity included developing the ability to monitor in real-time whether or not thoughts and actions were directly contributing to goals. Leaders also described setting aside time to reflect on how their beliefs and biases may interfere with reaching their goals, as well as an honest assessment of their past behaviors in the same context. Leader reports indicating the presence of Achievement Orientation often accompanied detailed descriptions of career advancement, development of new leadership capabilities, and workplace success. These examples also revealed a pattern of personally-driven, professional development activity spanning their career: “it’s been on an upward track for me…I grew every single year…won some awards,” and “I am constantly challenging myself to find new ways to culturally have a very positive impact.” In many cases, leaders also mentioned that they had invested more personal resources into this level of development than their employers did on their behalf. How Can You Begin to Develop Achievement Orientation? 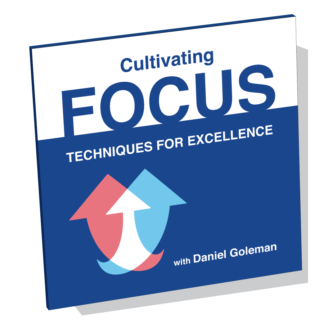 It may be helpful to view the concept of Achievement Orientation as it relates to the research of Dr. Angela Duckworth on Grit or Daniel Goleman’s writing on Focus. This work references the influence of positive emotions on your capacity to successfully pursue a dominant goal. Success is related to how many of your mental and emotional resources are directed towards activity contributing to goal attainment, including thoughts, emotional states and decisions. These resources can be intensely focused if you are not distracted by, for example, considering alternative goals or questioning your ability to succeed. Focus and Grit, like Achievement Orientation, also relate to planning and preparation activity, and your tendency towards solution-oriented responses to problems. In the context of Achievement Orientation even your reaction to stress can impact quality and timeliness of success. For example, a stressor may be viewed positively as a challenge to be met by some people, while others react to it as a threat and focus on coping options instead. Therefore, a good way to start developing Achievement Orientation is to regularly monitor the degree to which your mental and emotional resources are aligning with – and contributing to -the attainment of your goals. 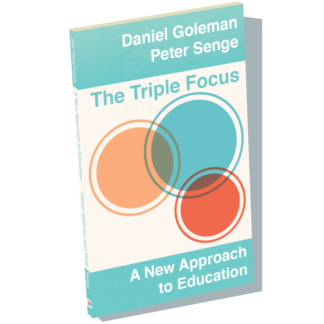 Our new primer series is written by Daniel Goleman and fellow thought leaders in the field of Emotional Intelligence and research. The following are available now: Emotional Self-Awareness, Emotional Self-Control, Adaptability, and Achievement Orientation, with new releases monthly throughout 2017. For more in-depth insights, see the Crucial Competence video series! Maintaining the competency of Achievement Orientation as a leader is complicated on many levels. One aspect is the time period in which achievement is being evaluated. Many businesses operate in very short transactional windows, and this challenges a leader’s ability to balance his or her personal drive with the needs of the organization as a whole. 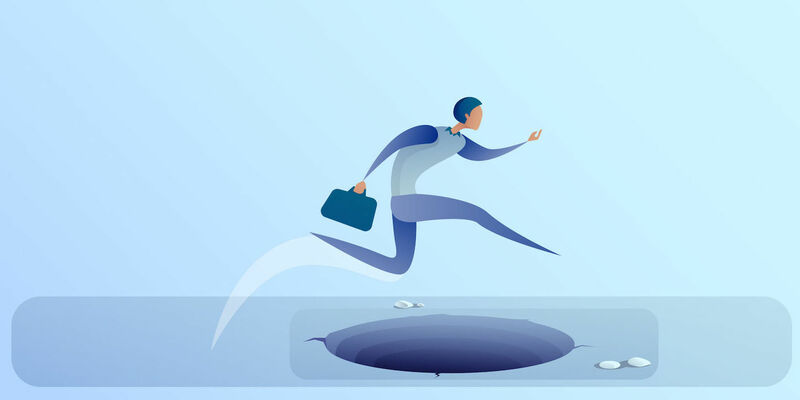 Balancing sales and cash flow concerns with a longer view toward developing people is another reality of business – one that undermines the inner wisdom of many managers because it’s tough to do both at the same time. Here’s how this played out in my leadership experience. Many years ago, I was in a financial management position charged with bringing a business case to corporate headquarters for a fifteen million dollar capital equipment request. It involved significant changes in manufacturing tooling, was mildly controversial due to its scale, and was not easy for senior management to approve. There were competing needs across the company, so we not only had to believe in this program ourselves, but make a compelling case to senior management. At the time, I managed a financial operations department of twelve employees, all but one of who were extremely busy. The one who wasn’t extremely busy was the newest on our team, new to the company and the least experienced. Should I take an experienced person off another equally important project to assure success here, or give the new guy a chance to learn something – yet risk a screw-up as a consequence? This is a question that managers face every day. It is a question that brings with it feelings of anxiety and self-doubt, and the added question of whether this will be the decision that torpedoes your own career. To the risk-averse, it is generally an easy decision; pick the best person to do the job and get on with it. An alternative might be to pick the least experienced and micro-manage them to a successful outcome in order to maintain a sense of control. After brief deliberation, I chose a third path based in part on my awareness that my job would be easier, and in the long run the company healthier, if I viewed my responsibility to be in service of the organization as a whole, not just to myself and my career. Taking calculated risks is part of how the competency of Achievement Orientation played out in my mind. We had about four weeks until the presentation, so I called in the less experienced analyst and discussed with him what was needed for the business evaluation and presentation, who he could go to in manufacturing and engineering to get necessary information, and the stylistic approach required by headquarters for capital equipment requests. He said he understood what was required and we agreed to get back together to review his work in two weeks to make sure he was on the right track. When we met again, he appeared to be moving in the right direction, though I pointed out that he’d made far too many assumptions in areas where the data was available, and that those gaps would be exploited by those with competing needs who wanted to scuttle our request. He seemed to understand and agreed to get the necessary data, incorporate it into his evaluation and we agreed to reconvene in ten days having tightened up those gaps. I wasn’t feeling good after this meeting. I wondered if he understood the importance of the project. He said all the right things, but I felt a distinct unease. Based on this feeling, I made an important decision: not to alleviate my feeling by either taking over the project or assigning it to another analyst but to commit to his growth. I knew that in the worst case, with the information he’d have gathered by the following week I could pull something together to take to headquarters, but at this point I committed to a larger vision. Two days before I was scheduled to fly to headquarters, we met to review his work. I was disappointed. He hadn’t gotten verification of his assumptions, and he hadn’t corroborated engineers’ hearsay. In a week we had hardly gained any ground. I was angry. Anger is both a constructive and a destructive emotion when used by a leader – it can motivate and commands attention, or it can undermine the individual and their authority. I told him that he needed to get focused. We had a day and a half and I didn’t care if he had to call the Chairman of the Board, the CEO or the Plant Manager himself, but I needed him to be at the airport the following day at 6am with the presentation as planned and the supporting data as required. No excuses. At 5:45am the following morning he met me at the airport. This was before the days of TSA and security checks when you could actually meet people at the airport at your gate to transfer documents. When I looked the presentation over, I saw that he’d done the work and done it well. He looked tired but satisfied, like he knew he’d just fully joined the team. I felt the same thing, that he’d fully joined the team. At that moment I knew my decision was the right one despite my earlier concerns. My boss told me that later that day he’d seen this analyst in the cafeteria and said, “You look like hell, what happened to you?” His response? “I had to stay up all night to get the business case done, but it was my own fault.” When my boss shared that with me I felt certain that I’d made the proper decision for the organization as a whole, and vowed to myself to choose that path whenever possible. It is difficult to make decisions that may take months or years to manifest when we live in a world in which decisions are measured in days and weeks. The essence of good leadership is knowing how to balance those short and long-term gains. It is true that leaders who struggle to maintain a productive achievement orientation often have technical growth areas related to setting goals, progress monitoring, and analyzing data. However, there is often a deeper adaptive issue at play that limits the impact of technical skill building when not addressed. Whether they know it or not, many leaders care less about achievement than they do about other core personal values. The good news is that leaders can learn to balance these seemingly competing values in their work. Affiliation – valuing collaboration, relationship, and belonging to a group. Power – valuing competition, recognition, and influencing others. Achievement – valuing setting and accomplishing goals, and receiving feedback on progress. McClelland believes that everyone values all three motives, but our life experiences and environments make one of them our dominant motive. Leaders who struggle to care enough about achievement are driven by another motive in a way that competes with achievement. As a coach, it is my job to raise self-awareness about competing motives, push leaders to challenge assumptions about achievement that are getting in their way, and support them in crafting a new values-driven narrative that gets achievement and their other core motive working in harmony. In my experience, leaders are most likely to struggle to reconcile achievement motive with their affiliative motive. Paul is a leader I coached who fits this bill. Paul led a small company with moderate results and was loved by his employees and clients. Still, Paul felt like there was a next level for him as a leader, and so jumped at the opportunity to leave his comfortable position to grow at another high-achieving company. Within weeks of his arrival, however, Paul’s enthusiasm began to falter. He struggled to implement the company’s coaching system, with its focus on tight, accountable data cycles and direct performance feedback. When I met Paul, his manager shared that Paul’s feedback often “hid the ball”, and that he was allowing his people to settle for lackluster achievement goals. Meanwhile, Paul confided in me that his new work felt cold and impersonal. He was worried that his team was becoming discouraged by the impossibly high expectations and constant constructive feedback. The more stories Paul told me about his performance management practice, the more I suspected that his root issue was competing beliefs. I realized that Paul’s ability to grow depended first on building his awareness about his own values conflict. At what point in the meeting did you feel dissonance? What did your person say or do that triggered that? How did you feel when this happened? Name an actual emotion. Where do you think this is coming from? What thoughts were going through your head that impacted your use of the coaching system? What values or beliefs are under attack for you in this situation? In other words, what do you deeply believe about the right way to develop people that is being violated here? How do you think this core motive is serving you right now, and how do you think it might be getting in your way? I follow this question with others that encourage Paul to consider the impact of his actions on his direct reports, on outcomes, and ultimately the impact on himself. My goal is not to disparage Paul’s affiliation motive (certainly one of his core strengths as a leader), but rather to help him see when it shows up in ways that are holding him back as a leader. When Paul starts to dig in about people’s feelings, I ask him to consider how his actions now are impacting the feelings of his people. At some point Paul realizes that the way he currently values affiliation through relationships and nurturing emotional harmony not only impacts outcomes, but actually strains relationships and causes negative emotions. He sees that when he lets people off the hook for achieving goals and sugarcoats performance feedback, he is inadvertently sending the message that he doesn’t believe they are capable of achieving and growing. What do you deeply believe are all of the conditions people need to learn and grow? Sort them by motive. You believe all of these things, even if they currently seem at odds. How will you know when some of these conditions are actually getting in the way of growth? What could you do as a leader when this happens? How will you make yourself lean into the conditions you know some people need, even when they fall into the achievement motive and push up against your affiliative motive? Paul develops a plan to be aware of when his affiliation motive gets in his way, and to manage his unproductive impulses. The plan helps him make better decisions about development strategies, because he is now trying to figure out what his reports need to grow rather than what makes them feel good. With practice and coaching, Paul learns to care about achievement by replacing old assumptions and habits with new ones that balance care for people and performance.